We asked for your Valentine's Day stories on London Morning this week, and you answered. Our winning entry generated strong reaction on social media, so we wanted to spread the love. A story of love, separation and a reunification decades later. That's the winning entry for London Morning's Valentine's Day contest. It generated strong reaction on social media, so we decided to spread the love. I had known my first love since first grade. We shared many of the same friends in our small elementary school. I began to court her in eighth grade when we were due to appear in the same school play. We ate lunch together, she shared her Twix chocolate bars with me. Oh young love. Paul Aitken with Lori Park in grade eight. 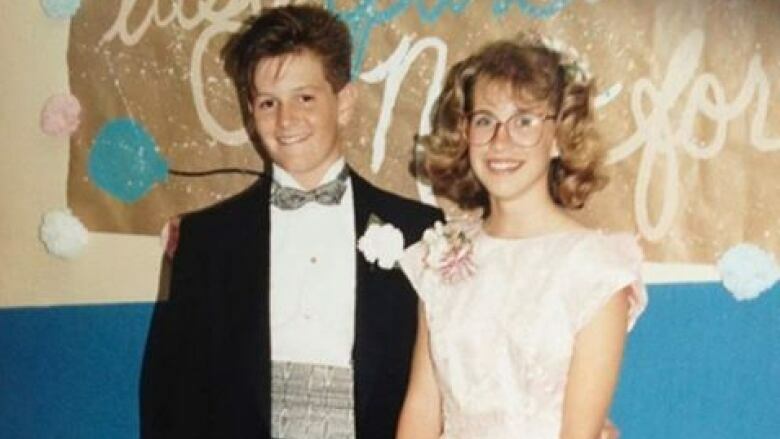 (Submitted by Paul Aitken)I finally got the courage to ask her out in March of 1988. The final school bell rang and as we all spilled out into the school yard to make our way home I yelled at the top of my lungs across the playground, in front of everyone: "will you go out with me?" She yelled back "yes!" 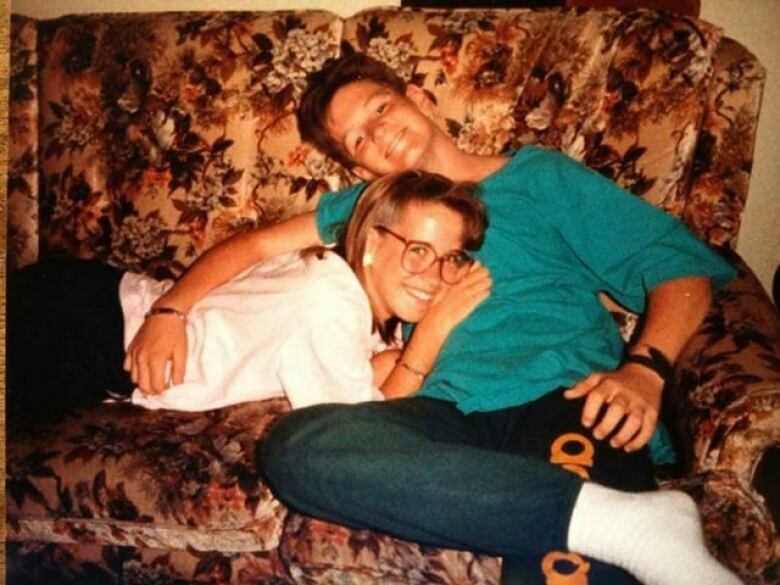 From what I can remember we simply went our separate ways home as on any other day, but did so now with the knowledge that we were "together," whatever that meant at that age. My family moved across town late in the summer and I was enrolled in a different high school than she was. With no drivers licenses, in the days before the Internet with only the phone connecting us, and with the possibilities of new schools and new lives wide open before us, we broke up in the fall. Heartbroken. But life moved on, as it must. She married, had a wonderful daughter, and from what I knew lived a comfortable beautiful life with her family. Tragically, her husband passed away in 2010. I had heard news over the years, mostly through our parents' chance meetings, and was heartsick to learn of this. I had thought of reaching out to say hello many times over the years, but for whatever reasons never did. In mid-2012 a friend informed me that our elementary school was having its 50th anniversary open house/reunion. And so, with the wonders of modern media and a bit of Google-fu, I found her contact info and pressed send on an email that took me ages to write. 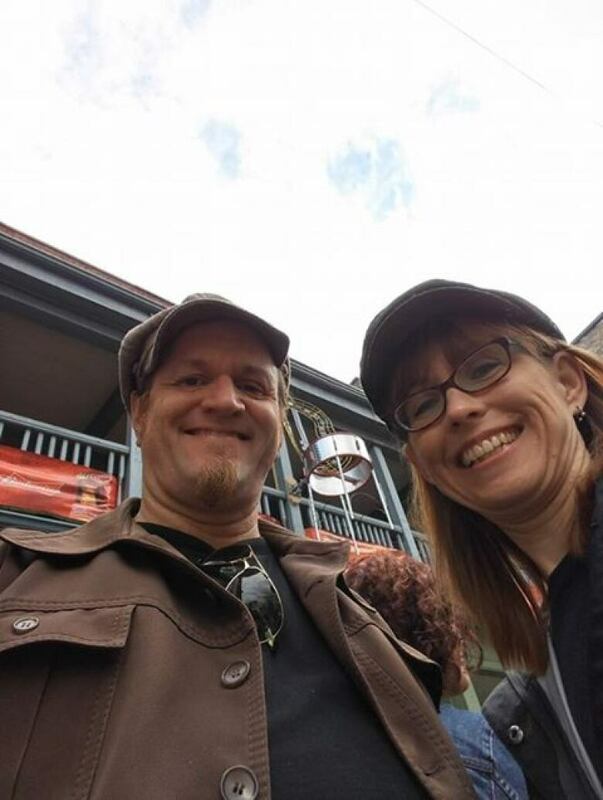 Paul and Lori Aitken enjoying London, the city where they were born and raised. (Submitted by Paul Aitken)It had been 24 years since we had first fallen in love, and 20-ish years since our last brief communication. "Are you planning to stop by the open house? Maybe we can catch up?" The open house was two days away. To my great surprise she emailed back within minutes! She was game. Yikes! Time came for us to meet at the old school where it had all began for us so many years ago. I circled the school twice. I saw her driving around looking for parking. I parked my car and sat there for what seemed like ages, waiting for her to get out and head up to the doors of the school. 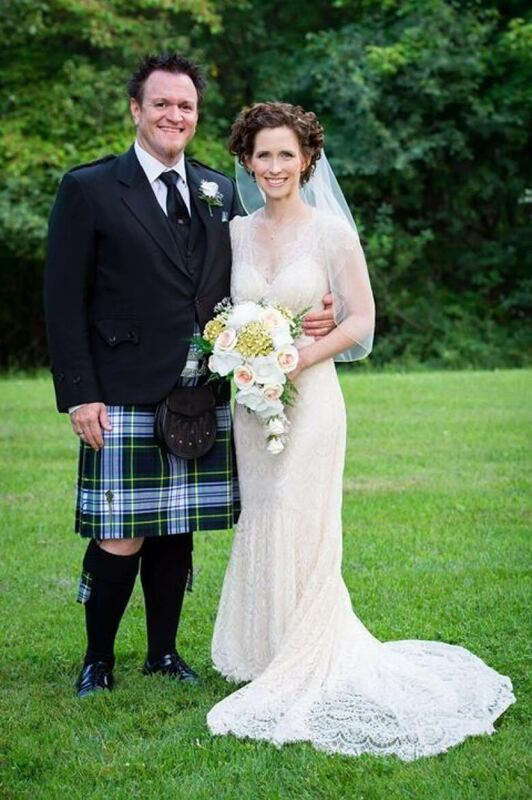 Paul and Lori Aitken on their wedding day in 2015. (Submitted by Paul Aitken)We embraced at the doors of the school and it all came rushing back, within 30 seconds I knew, and I think she knew too. Lifetimes had passed, but in the blink of an eye. We picked up right where we left off: two young kids in older bodies wandering around the hallways where we had first been "us." The bond as strong as ever, made perhaps even stronger by the years, the scars and triumphs of separate lives led. I proposed to her (finally!) on the very same threshold of the front doors of that school in December of 2014. 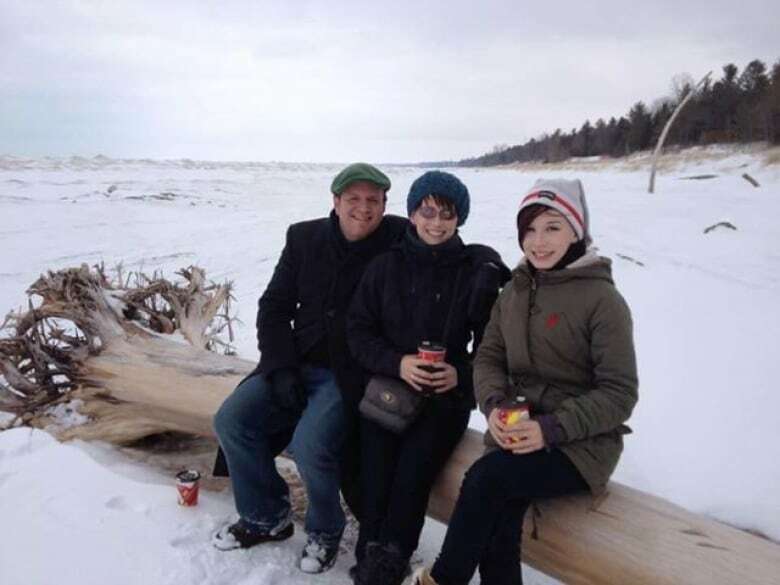 Paul Aitken with his now wife Lori Aitken and his step-daughter Mackenzie Campbell. (Submitted by Paul Aitken)We were married on July 17, 2015. As it turns out, quite a few years later than we had both imagined we would be back when we were 14. That's my valentine, Lori K Aitken, and her daughter, my step-daughter, Mackenzie Campbell. I love you both!